Can Police Force You To Unlock Your Phone With Fingerprint? While the Supreme Court recently made it very clear that police can’t look at the contents of a suspect’s phone without a warrant, what remains unresolved is whether or not authorities with a warrant can then compel a suspect to unlock his/her phone. And does it make a difference if that unlocking involves a fingerprint instead of a passcode? A court in Virginia recently tackled this issue [PDF] and came to the conclusion that police could compel the use of a fingerprint to unlock a suspect’s phone, but could not force the suspect to turn over his passcode. The particular case involves an alleged violent attack that the victim claims was recorded by a camera in the bedroom in which the incident occurred. Additionally, the victim says that the camera transmits video to the defendant’s smartphone. Police obtained a search warrant and confiscated the phone, computers and other devices belonging to the defendant, who admitted to police that a recording of the alleged attack “may exist” on the phone. Prosecutors sought to compel the defendant to unlock his smartphone, claiming that the existence of a recording on the device was a “foregone conclusion,” and therefore not a case of the defendant being forced to provide testimony against himself. In looking at the case, the judge points out that there is legal precedent for compelling defendants to turn over documents that may be incriminating, but the turning over of those documents is not the same as testifying against yourself. “The Fifth Amendment protects against compelled self-incrimination, not the disclosure of private information,” writes the judge, quoting a 1976 U.S. Supreme Court decision. The judge also notes that the Supreme Court has long held that the Fifth Amendment offers no protection against “fingerprinting, photography, or measurements, to write or speak for identification, to appear in court, to stand, to assume a stance, to walk, or to make a particular gesture,” all of which could incriminate the defendant. But if authorities can not say that it’s a foregone conclusion that they will find the evidence being sought, and if they require the defendant’s input in obtaining the requested documents, that may be a case where being compelled to turn over documents to police would count as testimony. “The assembly of those documents was like telling an inquisitor the combination to a wall safe, not like being forced to surrender the key to a strongbox,” writes the court, citing a 2000 SCOTUS ruling. For that reason, the Virginia court said authorities could not compel the defendant to unlock his phone with the passcode. So what about his fingerprint? That, says the judge, is within the bounds of the Fifth Amendment. This ruling is a bit of a boon to law enforcement officials in the U.S. who have been increasingly critical of recent decisions by Apple and Google to make their iOS and Android mobile operating systems more private by removing any backdoor access for users who lock their devices with passcodes. Only those codes can be used to access the content on users’ phones. 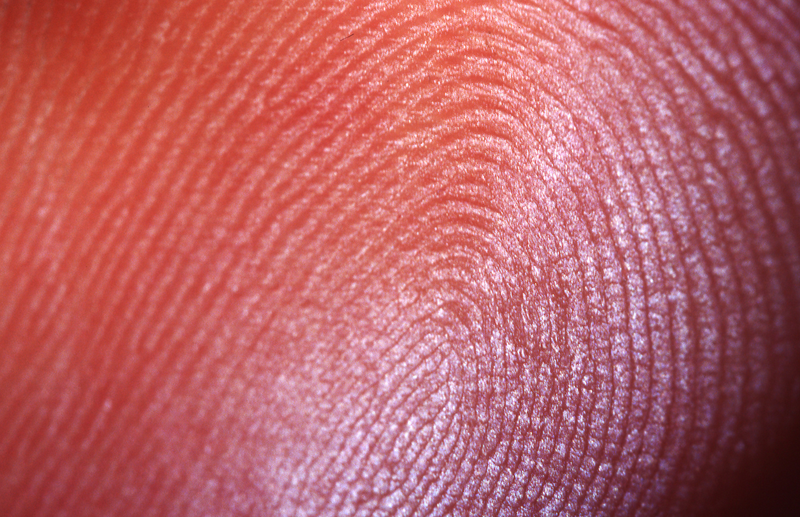 With fingerprint unlocking becoming more widely used, it could be a way for police to access devices without the passcode. However, as has been pointed out elsewhere, some devices will require both a fingerprint and a passcode if the device has been unused for a certain period of time. Additionally, those who really want to keep their phones’ contents away from prying eyes will now know to avoid using the fingerprint option.